Microsoft Surface has solidified it’s place among the best computer hardware available today. Competing with the likes of Apple and Dell for supremacy is not an easy task but the past few years, interest of users and sales have proved that consumers want change. Surface PCs are for sure the best all around computers in the market with a PC in all shapes and sizes. 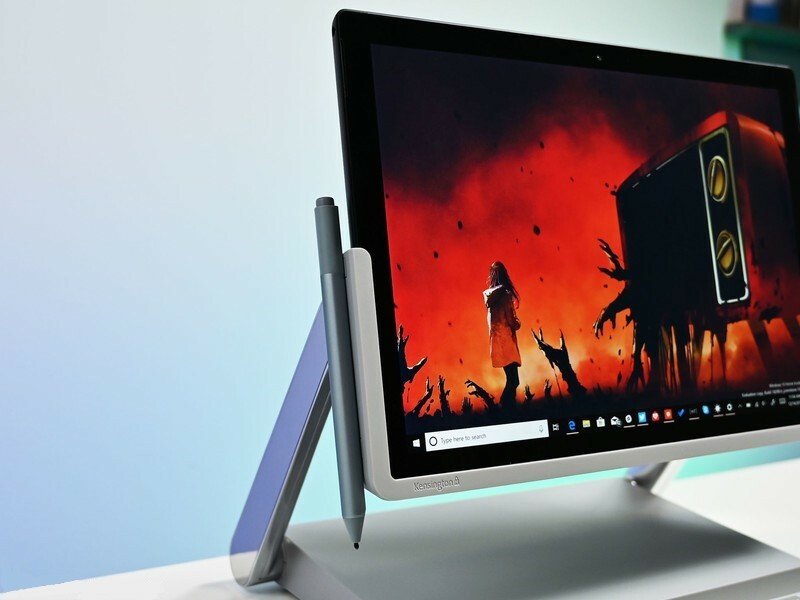 After the success of Surface and Surface Pro tablets, Microsoft added the Surface Book, Surface Laptop and Surface Studio and recently Surface Go to their lineup. 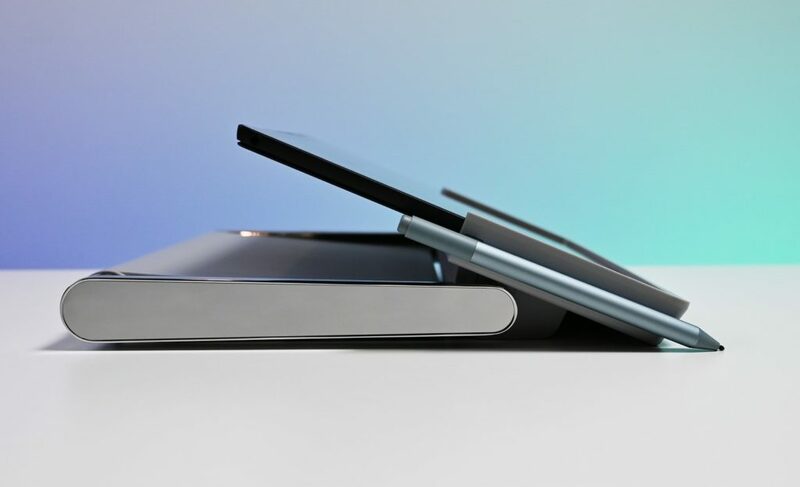 The idea was to make available different hardware for different purposes, but even to this day nothing comes close to the popularity of the Surface Pro Tablet. It is a complete PC in the form of a slate and its portability makes it a must have for those on the go. As amazing as Surface Pro is, it does have some short comings and one the biggest one is the I/O or ports available for connectivity. Latest Surface Pro 6 has 1 x USB 3.0, 3.5mm Headphone jack, microSDXC card reader, Mini Display-Port, Surface Type Cover port,6 1 x Surface Connect port. And I am not saying that it is bad, but in certain situations it is not enough. Secondly, the Surface Go Signature Type Covers are good on the go as well but I would not recommend them for a long term use for multiple reasons, flexing of the keyboard being one of main ones. Kensington SD7000 Surface Pro Docking Station gives the users a solution to all of that and adds a few features on top of it all. 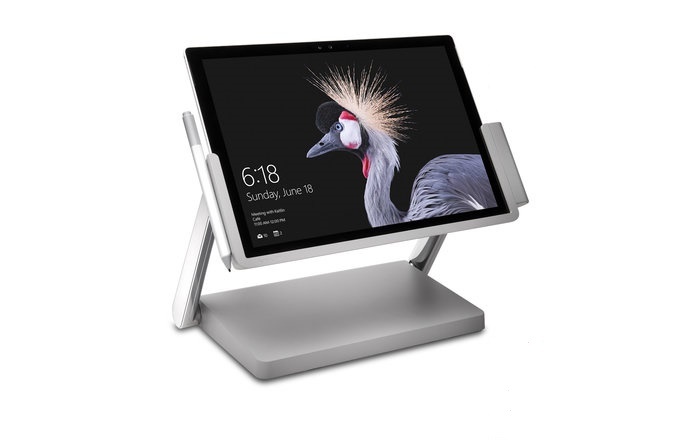 Specifically designed for Surface Pro with the integrated Microsoft’s Proprietary Surface Connect technology so docking and charging of the device while in the harness has a seamless experience. 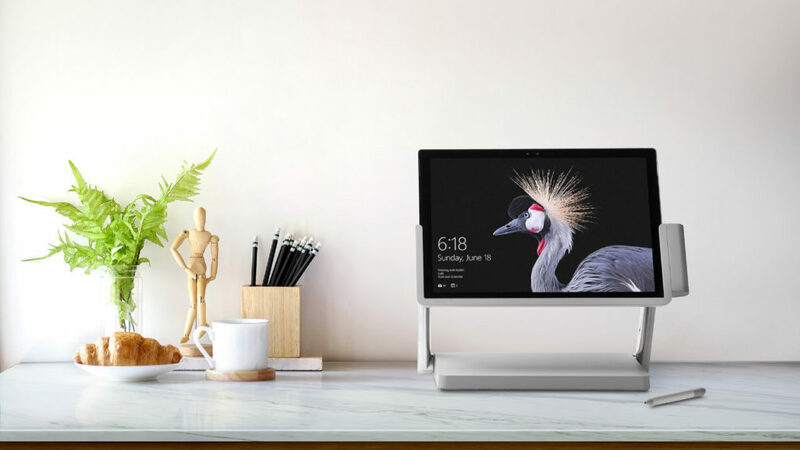 Hinge with it’s articulating angles mimicking the Surface Studio Zero Gravity technology, allows the device to be at several angles to serve the needs of the users. Drawing, Painting, Editing or simply Writing there is an angle for everyone. HDMI and DisplayPort available on the device allows the output options for multiple monitor support. One 4K monitor at 3840 x 2160 @60Hz or two 4K monitors at 3840 x 2160 @30Hz. 4 USB 3.0 ports (up to 5Gbps, 5V/0.9A) and 1 USB-C port for data synchronization (up to 5Gbps data only, 5V/3A). Magnetic Connection for the Surface Pen is situated on the left side of the frame. Gigabit Ethernet Port provides a reliable 1Gb wired networking connection between computers for faster downloads for the corporate intranet or internet. 3.5mm Combo Audio Port for those who still own and rely on wired headphones. Kensington lock slot is available of course to secure your dock. Free Kensington DockWorks Software which enables the best connection, performance and security from your Kensington dock. The dock allows a station for your Surface Pro when you comeback home, office or dorm room. Surface pro provides a PC experience on the go but we need to settle down with our device to write that report, or finish that portrait or edit those high resolution photos or edit the new YouTube video etc. Kensington SD7000 Surface Pro Docking Station gives you multiple solutions in a singular device that not only matches your Surface Pro but makes it look good as well. Having all the ports out back keeps the look of the setup clean just like Surface Studio. Simply looking at the pictures gives you more than an idea of what you can do with it. At this price, this product is a must have especially if you are on the edge to buy a desktop. 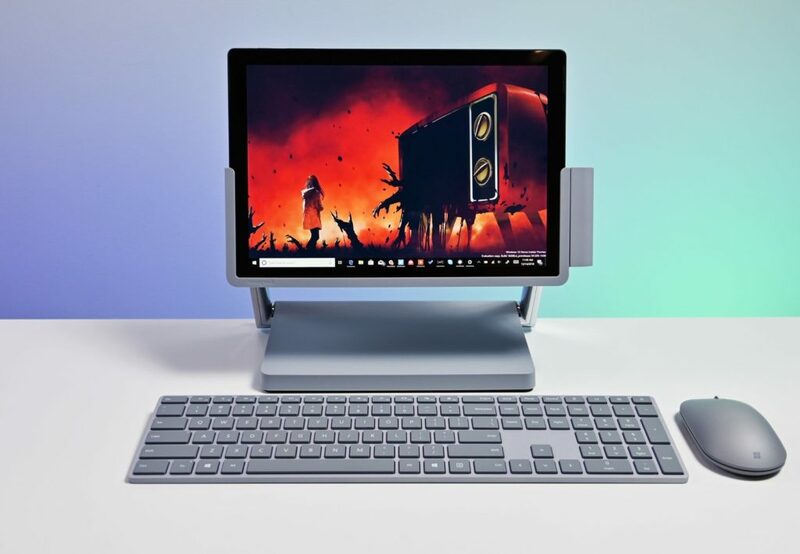 One important thing to note is that this dock works best with Surface Pro 6, Surface Pro (5th Gen) and Surface Pro 4 and Monitors that support up to 4K.